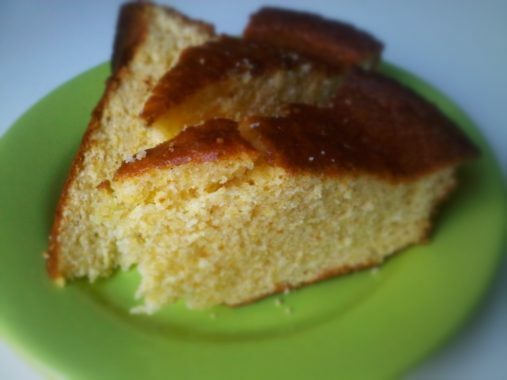 Polenta and Cornbread: In Italy polenta is a welcomed winter dish. You will often have it served to you with locally made pork sausages and homemade tomato sauce. It’s really difficult to tell you which of Enzo’s family members gets top prize for their polenta making skills but if I don’t say ‘Anna’ then I won’t see another delicious feast of polenta from her again! 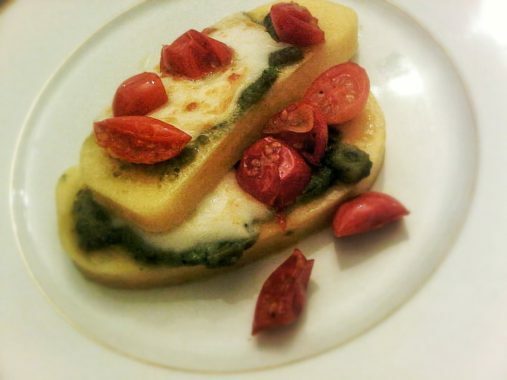 Anna makes her polenta from scratch – and I really do mean scratch. Polenta is produced from dried maize or corn and depending on where you come from in Italy, the corn is either coarsely or medium ground into cornmeal. The results of a finer grind of the maize is cornflour or cornstarch. Anna actually grinds her polenta corn herself and stands over the polenta while it’s cooking as if it were a newly born infant in need of constant and undivided attention. 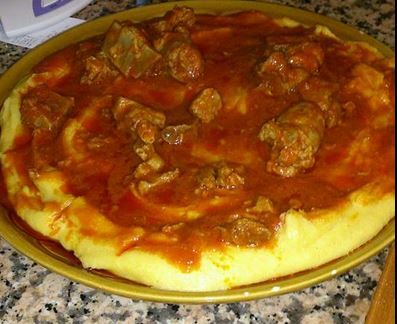 Once considered a poor man’s meal, polenta has been overtaken by gourmet enthusiasts all over the world who have demonstrated it’s versatility. Even in the kitchen here in Paradise we tend to mess around with it. It works really well as a pie, quiche or tart base, whether sweet or savoury. 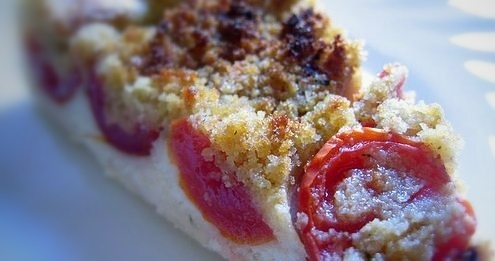 We’ve thrown pesto, mozzarella and tomatoes at it and called it Polenta Caprese. We’ve even had it sharing a plate with mussels prized from the rocks in Gaeta Bay by Enzo’s own bare hands. Fry, boil, broil or bake it, polenta will never let you down and in its most basic form, polenta is gluten free! Long before the Italians were cooking up a pan of cornmeal, the native Americans had already made it part of their staple diet and using it mainly for making breads. Since then cornbread has been called the “cornerstone” of American cuisine, so it was rather fitting to find that Sheree had made a skillet of her cornbread for our first, real Thanksgiving dinner in our Italian Paradise. 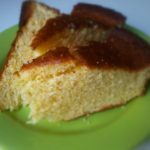 I confess to never having had cornbread before even after spending 4 years in America, and I didn’t know what to expect and I didn’t get what I expected. It was light, moist, salty, surprisingly sweet and reminded me of a coarse version of that good old British afternoon tea special, Victoria Sponge Cake. A bit strange eating cornbread with turkey and gravy but neither Enzo nor I could leave the stuff alone. Another culinary triumph has made it’s way into the kitchen here in Paradise and as with her Mac ‘n’ Cheese, Sheree remains reluctant to share her recipe. Thank goodness there were a few slices left over, and thank goodness it’s freezable because with my mother coming for Christmas I’m not going to attempt to make cornbread myself. We’ll use Sheree’s until she makes us some more!